DeepOcean laserscan uses SLAM for high-resolution capture. With huge, sprawling maps and realistic cities now appearing in our video games, it begs the question as to how these amazing cities render so quickly, yet we geospatial experts still sit waiting for 10 minutes for our software to open. For example, the notorious Grand Theft Auto: San Andreas (pictured at top) is almost an exact replica of San Francisco, with details such as lamp posts, overhead lines, and even rivets on metalwork. Yet in a GIS we struggle to render more than a few hundred buildings at that level of detail, let alone recreate the refracting light or reflection in puddles. It certainly appears that the Xbox, PlayStation, Nintendo, and Steam games have got it right: these endless cities and environments render faultlessly and include things that we would only dream of in GIS analysis, like agents (objects that move intelligently within the bounds of set parameters), real-world physics, and weather systems. 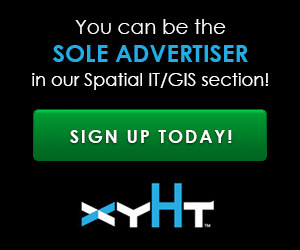 It appears that the geospatial industry is starting to catch on. For the last year Mapbox, a tile mapping service has made available its service to the gaming engine Unity, and recently Google followed suit. This means that the gaming engine will be able to use Mapbox and Google Maps and coordinate systems. What do I mean by gamification? Gamification means applying game-design elements and principles to non-gaming applications. Without knowing it, we’ve actually been doing this for years. Tools like AutoDesk Recap, Qgisthreejs plugin, and Cesiumjs employ many gaming elements. For example, within a gaming engine, you use a grid system that has an arbitrary 0,0,0 coordinate that the features are based around; coordinates are relative to the model. Models are made with materials and textures that are often designed to improve or reduce in quality depending on the relative distance to the object, and specific data formats are used such as multipatch and mesh that are culled on the back faces to speed rendering. This is most evident when you look at the web-rendered 3D models that draw at lightning speed from survey-captured data. They draw and render more like a game, but we overlook it because it’s survey data, right? Gaming engines interact with your device. With the introduction of developer kits from Mapbox and Google, the real game-changer is that the arbitrary coordinate systems that the gaming engine uses are real-world coordinate systems. On its own, this turns our game or visualization into a GIS, but when we develop this for a smartphone it means that we can interact with the internal GNSS and gyro. This can turn our basic GIS into a sat nav, an AR (augmented reality), VR (virtual reality), or MR (mixed reality) as the information can “talk” to the smartphone sensors with nudges in the right direction. This isn’t the only reason that geospatial companies are looking to gamification for their applications and data services, and they’re not doing it just to provide cool new technology (although that’s a great extra). It is because gaming engines can provide applications in multiple formats. You can build a single application that can then be “exported” in Windows, iOS, Android, Steam, Playstation, Xbox, WebGL, and many other systems without needing much or any coding experience. So, I’m writing about using a game engine for mapping in a magazine read by surveyors and the AEC industry. No, I’m not crazy. When I first heard about SLAM, I must admit that I did scoff a little, but now SLAM is an integral part of the industry, and I see gamification as being in a similar vein. Sometimes you do not require specific coordinates as long as everything is related to everything else at the same scale in the same (imaginary) units, much in the same way we render mesh or lidar through a web browser. Where GIS fails is in its detailed rendering of real-world environments, but we can harness the power of gaming engines to bridge the gap. With the right development and industry support, integration of real-world physics, and AI components, gaming engines have the ability to give advanced visual feedback on these environments in reaction to simulated scenarios. I imagine a time where we capture our geospatial data and design using our total stations and CAD, then draw our maps and collaborate with our desktop and web mapping. Then all this is visualized in a gaming engine using real-world coordinates as a package that can be viewed through the web, mobile, or desktop for global collaboration. Fugro Roames uses the Unity 3D gaming engine for utilities mapping. This is no pie-in-the-sky philosophy. Just recently Fugro Roames spoke at the annual Unity conference to discuss how they found conventional GIS too slow for their huge utility mapping and maintenance system. This system has almost the whole of Australia mapped in high-resolution, three-dimensional data with infrastructure and analysis tools, allowing them to know when powerlines fail or where other problems may occur. Many more companies are following suit. For example, The Carto Group, a geospatial company in the UK, has more gaming developer staff than it does GIS experts so that the company can develop enhanced, efficient geospatial solutions that can be used cross-platform. An example is their work done for Swindon Borough Council, where they integrated internal scans with 3D model data within a webGL. And let’s not forget GeoBoxers who are the epitome of gamification, as they create Minecraft environments for the tourism and professional industries using a real-world data cross-platform. The Carto Group uses MapBox within Unity. So, to answer an earlier question, “What is gamification?”—it is the future and one we need to embrace as an industry to create interchangeable formats and SDI (spatial data infrastructure) so that we geospatial professionals don’t get left behind by the gamers. I fully agree that games and gamification will be part of the future for geospatial technologies. In many ways games are already shaping our understanding of the world and therefore contribute to shaping it. There’s pleanty to learn from the gaming industry about user participation, interface, design and more. Lots to be excited about!